Norden Maritim has delivered composite bearings for this market for decades. Market leaders have chosen our products as our range of products are cost efficient and of high quality. Our technical knowledge is giving our customers the required security and support. The bearings are used on some of the worlds most advanced cranes and drilling equipments. The bearings are designed and manufactured to customer spesific applications. Our bearing calculation program gives the bearing tolerances and required press fit and running clarence for every size and shape. Norden Composite bearings are made from polyester resin and a range of fabrics. Additives are added in order to enhance material properties, for instance to reduce friction. 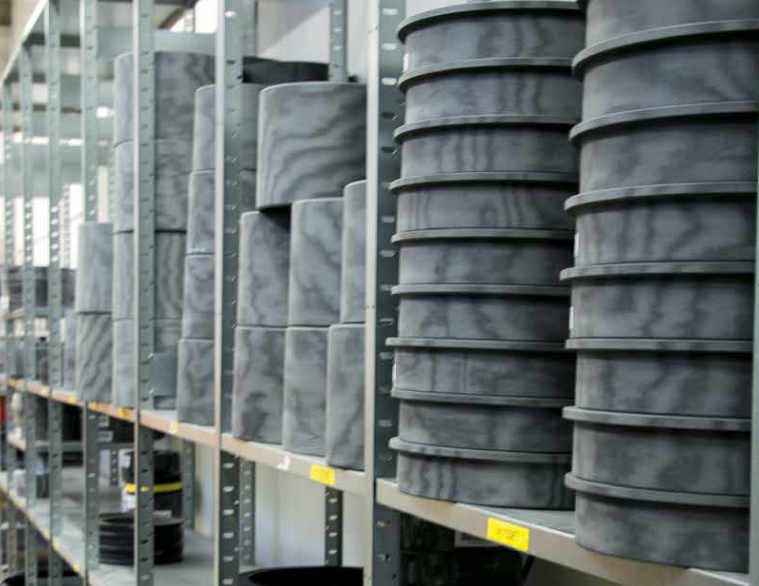 In our modern production facility, we have machining capacity for bearing sizes up to 2000 mm in diameter and production of plates up to 1300x2500 mm. Our modern CNC machines can machine to required tolerances. Material documentation are based on general material properties testing. Some applications require material documentation and verification not covered by the standard documentation. Our technical staff is ready to assist all customers for application focused material testing and verification. Crane boom bearings, A-frame bearings, Cylinder bearings, Gantry crane bearings.